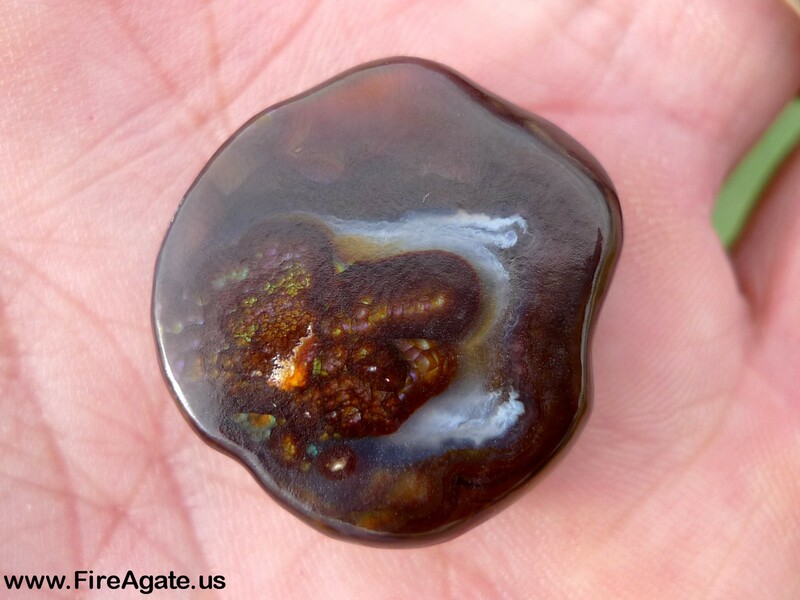 This bright and colorful piece of windowed Fire Agate rough weighs 36.45 carats and measures 24 x 22 x 7 mm. 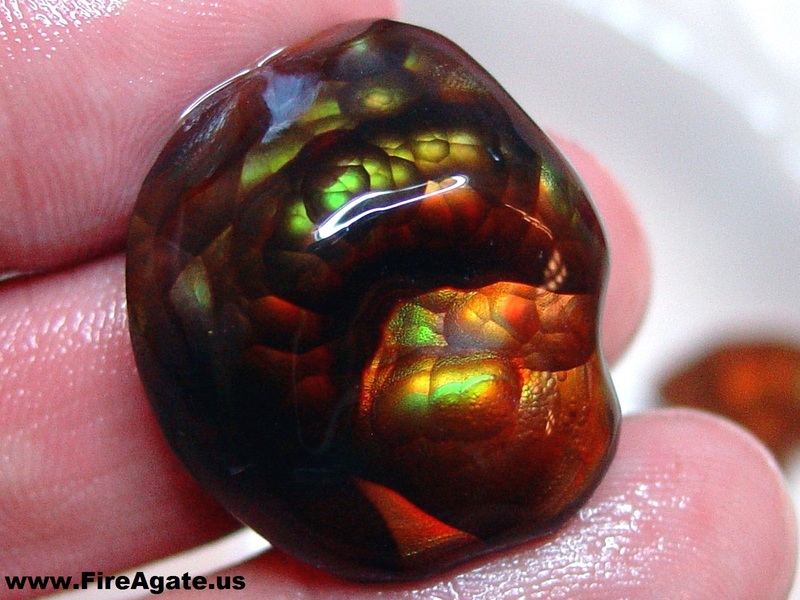 It was initially cut by Slaughter Mountain Fire Agate Miner J. Stevens and was a sample piece from a large quantity of rough that was purchased by Fire Agate US. 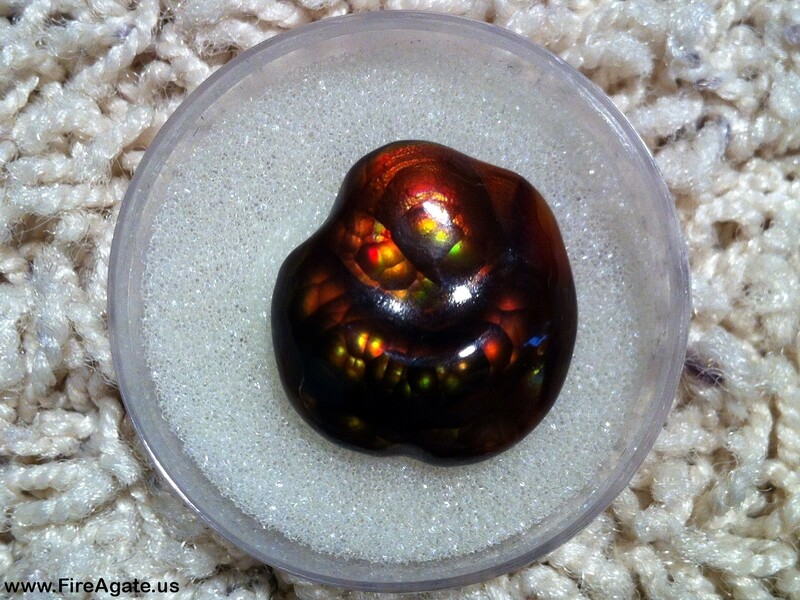 It has been windowed, preform cabochon shaped, and polished to best display the existing internal fire and is currently showing bright gem quality red, orange, gold and green colors. 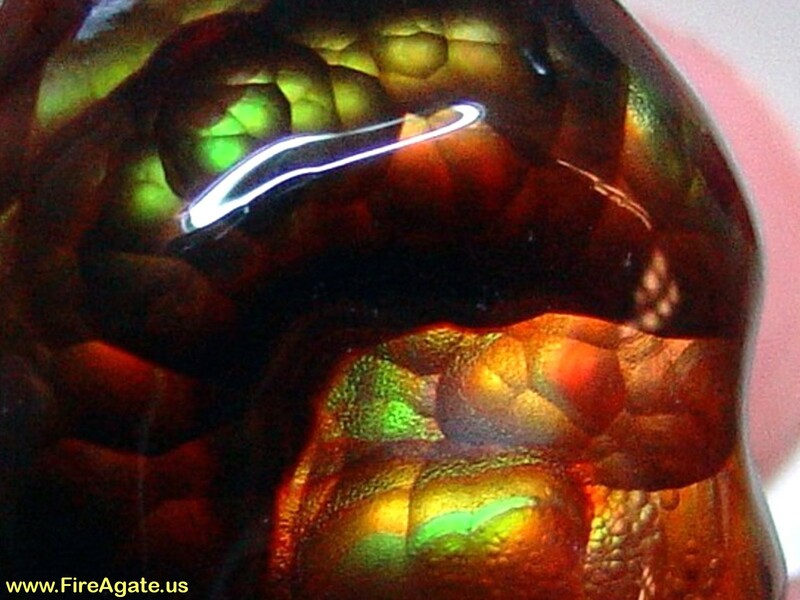 This piece of fire agate rough originates from Slaughter Mountain, Arizona. This gemstone mine is located on the Apache reservation and is known for fire agate gemstones with intense color variations from bright reds and oranges to intense greens, purples and blues.